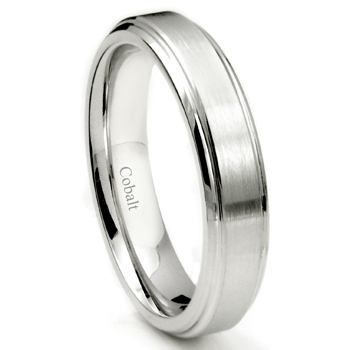 For sale is a solid cobalt chrome ring featuring a raised center part in satin finish. The center part steps down to the high polish edges. The inside of the ring is made in comfort fit and it is 5mm in width. Since the ring is made from cobalt chrome alloy without any plating, the ring will retain its premium white color forever, unlike white gold and platinum rings, which has rhodium plating on the surface and will eventually wear off and turn the ring yellowish. 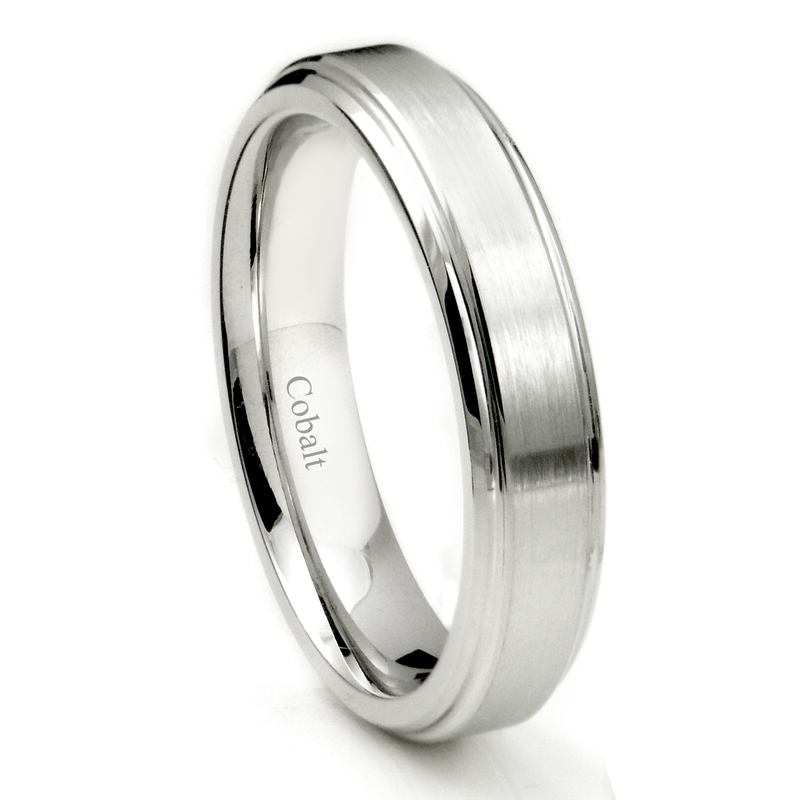 Another benefit of cobalt chrome over traditional metals is the superior hardest that will prevent the ring to bend out of shape and therefore also safer to wear.